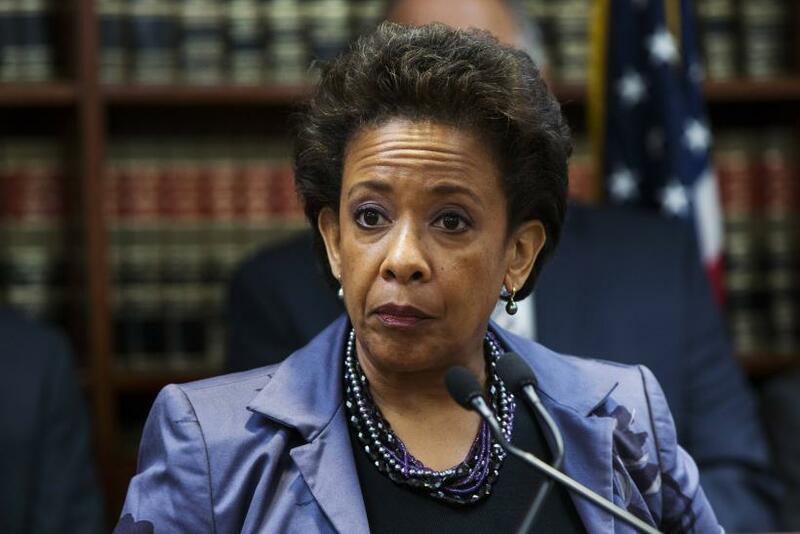 WASHINGTON – The confirmation of Loretta Lynch to be the next Attorney General might not be too painful. But it’s going to have to wait until Republicans take over the Senate in December. President Barack Obama nominated Lynch, who would be the first female African-American to hold the job, last weekend, giving Senate Democrats a small window to clear her nomination before they officially lose control of the upper chamber in January. But they don't appear eager to wage the war that will be needed to get her nomination through before they finish in December -- especially since they will have to deal with several other problems during that time. But it’s not going to be a love fest. She will likely be subjected to tough questions about the policies and priorities of her predecessor Eric Holder -- like his handling of Fast and Furious, investigations into media organizations and not fighting for gay marriage prohibitions. “She’ll have to answer a lot of questions about Obama policy past, present and future,” Graham added. Democrat Sen. Richard Blumenthal, of Connecticut, said he wished the nomination had been handled while Democrats are still in control of the Senate. "I wanted to do it during this week," Blumenthal said. "There is a need to fill that post and there is no need to delay it. I don't understand the argument ... that there won't be a fight in the next sessions but we don't need another fight now. If there is no fight, why not do it now?" Republican Sen. Jeff Sessions, a member of the Judiciary Committee, said he hasn’t given her nomination a deep look, but that she will have to explain her views of controversial policies that were enacted under Holder. Sen. Chuck Grassley, who is likely to chair the Senate Judiciary Committee when Republicans take over in January, said he supports waiting until the new year. “It’s going to be a caucus position to put it over until next year,” Grassley said. As for how much opposition there will be, Grassley said he isn’t sure. “I haven’t had a chance to measure that yet,” he said. Lynch’s nomination will be the first cabinet-level appointment that the GOP-controlled Senate will take up. And it will be the first one the Republicans oversee since Democrats changed the filibuster rules for nominees from the White House. Known as the “nuclear option,” the new Senate rule put in Majority Leader Harry Reid makes only a simple majority needed to approve nominees. The GOP was livid about the change. Democrats were caught off guard by how angry the Republicans were in response to the change. Bitter feelings between the two sides affected progress in the chamber of months. Republicans must now decide when they take control of the Senate whether they want to undo the nuclear option and return the ability to filibuster nominees. Conservatives in the Senate are now pushing for Sen. Mitch McConnell, who will take over as minority leader in January, to keep the rules in place. It’s a question Republicans will have to solve before the Lynch nomination ever sees the Senate floor, and could play an important role in how her nomination is handled by Democrats trying to usher her through the process. Republicans in the Senate have previously used nomination approval processes to try to get unrelated information from the White House. Last year, Sens. Graham, John McCain and Kelly Ayotte tried to block the nomination of John Brennan as the head of the CIA in order to get more information about the attack at the consulate in Benghazi, Libya. Graham, a member of the Judiciary Committee, said he doesn’t foresee that kind of opposition to Lynch.